Caregiving is hard no matter what. But if you’re one of the millions of Americans in the Sandwich Generation providing both child and elder care, it can be especially challenging. All too often, the choice to care for aging parents or other family members is made in haste, usually in response to a recent health-related event. In those anxious moments, we often don’t have time to consider how we will balance child and elder care in the home. The American Association of Retired People (AARP) states that about 1.3 million children take part in family caregiving responsibilities. This is out of time they would normally spend on fun or even academic pursuits. While you and your children may not have anticipated it, caregiving is a family task. That doesn’t have to be a bad thing. In fact, it can benefit everyone involved—mentally, physically, and even educationally. Read on for some things to remember as you seek to make the best of the situation for everyone. Senior LIFE provides support for members and their caregivers. It's a level of support you can depend on. The so-called “Sandwich Generation” is that generation of adults currently caregiving for an older loved one while also raising a family. They are effectively sandwiched between those who depend on them for care. The title may seem somewhat clever, but the role is one of continuous hard work. 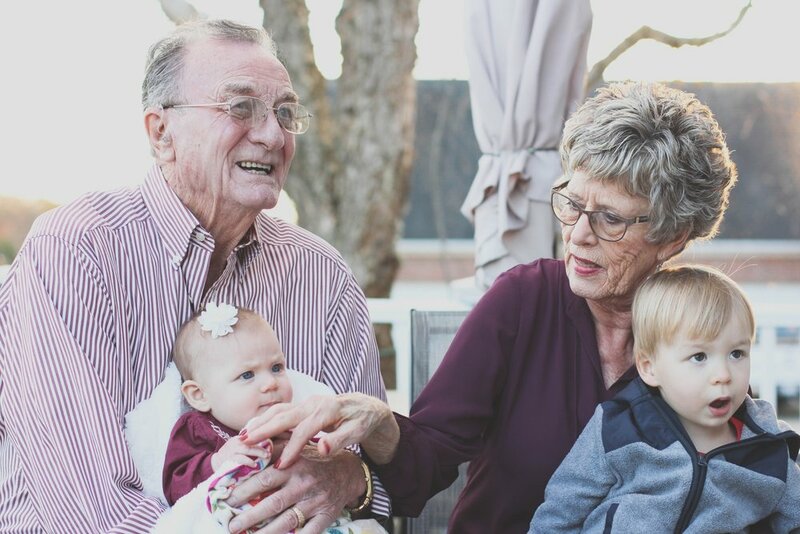 Just as caring for the needs of young children occupies countless hours, so does caregiving for older adults who can no longer care for themselves. They may be able to handle some tasks or none at all. Every situation is different. The one constant is the regular demand for care that often leaves the caregiver with little or no time for his or her own needs. Caregiving is a job, like taking on several overtime hours a day after an already full shift, or even accepting a second job. An older family member is a rich store of history and experience. If the older adult is able and willing, he or she could provide valuable assistance with school projects and homework. An added benefit is while the homework is getting done, someone is watching the elder loved one so the primary caregiver can do something else. Performing suitable and age-appropriate tasks for an older family member is a great way to teach respect, responsibility, and the value of family to a younger generation. Not to mention sharing the load with the primary caregiver. Combining child and elder care is also a great way to add some variety to everyday tasks. Rotate chores that everyone can do on a regular basis. Perhaps the kids can carry dry laundry to the elderly family member and they can fold it together. Any chores the kids and elderly family member can do together provide a bit of physical exercise to young and old, which is always a good thing. Contributing to the operation of the household in any way possible can lend a needed sense of respect and value to your elderly loved one. Small chores and helping with the kids can be a big boost to their quality of life. It’s easy for caregiving adults to neglect themselves and even their own children. And, sometimes when help is offered, it’s easier to turn it away than admit we need help. When help is available, accept it gladly. Other family members can sometimes provide child and elder care to allow you to attend that special function, attend to personal needs, visit the doctor for a checkup, or just be alone. The Sandwich Generation must add a bit more filling into the sandwich! Do all you can to ensure there is someone with whom you can share the load, for both the young and the old in your care. Senior LIFE can help with home chores, personal care, and medical care when the primary caregiver needs a break. In fact, we’re here to provide the A-team a backup team for rest and other needs. We’ll coordinate and transport your loved one to all medical appointments and to the LIFE Health and Wellness Center for meals, activities, primary care, therapies, and socialization. Senior LIFE provides medically necessary support services that are designed to keep older adults at home longer, and caregiver support in the home for chores and personal needs. Contact your nearest Senior LIFE center to find out about the services they can provide for your elderly loved one.